Captain Joseph Ray MacSwiney (Liverpool Regiment) dies of pneumonia at age 26. His brother was killed in June 1915. Captain Harry Aitken Williams (Middlesex Regiment) dies on service at home at age 33. He is the son of the Reverend H A Williams. Lieutenant Preston Anthony Augustus Enright DFC (Royal Air Force) is killed service in Salonika at age 19. His brother died of wounds in May 1917. Lieutenant Frederick Ryle Plummer (Royal Garrison Artillery) dies on service at age 22 becoming the third son of the Reverend Francis Bowes Plummer to lose his life in the Great War. 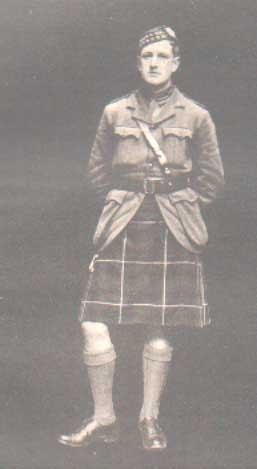 Lieutenant Donald Shand (Manitoba Regiment) dies of wounds in England. He is the middle of three brothers who will lose their lives as a result of war service. Lieutenant Arthur Dixon Haslam (Northumberland Fusiliers) is killed at age 25. He is the son of the Reverend Hedley Haslam. Lieutenant Eric Robert Lamb (Manchester Regiment) is killed at age 29. He is the son of the Reverend Fred Lamb. Second Lieutenant Arnold Joseph Gaskell (Norfolk Yeomanry) is killed in action at age 32. He is the son of the late Reverend John Gaskell. Second Lieutenant Harry Cecil Tomkinson (Royal Air Force) is accidentally killed at age 30. His brother died on service at home last month. Corporal Arthur Walter Bainbridge (Machine Gun Corps) dies of wounds at age 28. His brother was killed in January of this year. Private William R Sutherland (Labour Corps) dies at home. His brother died of wounds in March 1916. Private Henry Thomas Barnes (Gloucestershire Regiment) dies of wounds at age 34. His brother also died of wounds in March 1916. Private William Smith Copland (Black Watch) dies on service at age 19. His two brothers have previously been killed in the war. Stoker George Hayward (HMS Victory, Royal Navy) dies at age 31. His brother was killed in July 1916. Private Albert Waters (East Surrey Regiment) died on service in India at age 33. His brother was killed in November 1914. Private Robert Matthews (Central Ontario Regiment) dies at age 29. His brother was killed in August 1916.